Today, November 16, 2012, I received an email from a certain “Tea Party Economist”. I do not know of any other Tea Party economist except Gary North. The fact that North’s name is on the letterhead of the email made me curious to read the entire message from George Rayburn, the publisher of Stansberry Research. The provided link led me to a video. Such type of video is familiar to me; it is an investment video, a video that predicts about the future of economy and calls for investors. The basic insights are popular especially among libertarians and Austrian economic bloggers, but the conclusion is different. I did not finish the video. It’s too long for me. I think the video is about oil and natural gas. Contrary to the analysis coming from alternative media that US will certainly suffer economic collapse, the speaker predicts an unstoppable trend that will make the US the number one oil supplier of the world. The general message is one of expanding economic and political power for President Obama and with it, a new level of prosperity for the US. Which one to believe? Is the US about to collapse in the coming years or to soar further in power? 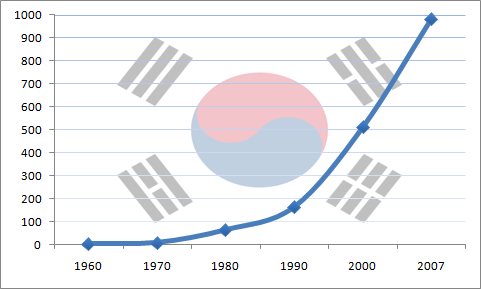 Following three forum threads and reading two articles from Ludwig von Mises Institute, I came up with different answers explaining the phenomenal growth of South Korea’s economy. The answers I received are due to government leadership, collaboration between the government and the chaebols, intervention of the US, an ongoing experiment between socialism and free market, and the chaebols using the government. Coming from theological education, I am not satisfied with the above answers. I am looking for a connection between the growth of Christianity in South Korea and her economic development. And I find Kirsteen Kim’s paper, “Christianity and modernization in twentieth-century Korea: perspectives on new religious movements and the revitalization of society” helpful. The paper primarily focused on Protestant Christianity’s impact on Korea’s national development. And national development is incomprehensible apart from a robust national economy. Kim is critical of developmental theory that left out the significant role of religion. Basing on the works of Scott M. Thomas, Kim claims that religion actually played a vital role in social development. The assumptions therefore of developmental theories leaving out religion are inaccurate. Those theories stigmatize religion as primitive, confined in institutional concepts and beliefs, and a matter of personal preference. Those theories fail to see the public importance of religion as a force to create change in the lives of people, the economy, and the entire society. Witnessing through various social services. 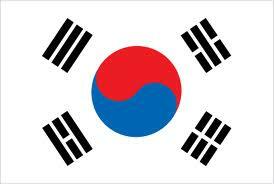 Reunification of two Koreas as a concrete application of biblical Jubilee. Protestantism shares the holistic view of life with Catholicism. Both of them offered vision of a better life than the one given by both Confucianism and Buddhism. This vision of a better life goes beyond “spiritual’ concerns such as the salvation of soul. Christianity during its early stage in South Korea was understood as a force for change affecting family and the society. It has power to solve political and economic problems. It is actually understood as an important component in nationalism. It even serves as an economic motivation for it provides a way to protect the living standard of the people and Christian connection offers diverse economic advantages. The concrete application of establishing the kingdom of God through developmental approach is the second way Christianity impacted South Korea. Early Protestant missionaries established schools, hospitals, and churches. Through the influence of Nevius method, church leadership was nationalized and democratized. Consequently, Korean Christians were quick to imitate the example of Protestant missionaries resulting to the multiplication of schools, hospitals, and churches throughout the country. In fact, as of 2002, among the top five universities in the country, the roots of three of them could be traced in Christian tradition. Socio-cultural practices especially related to gender and age underwent change through the influence of Christianity. Superstitious beliefs collapsed, domestic abuses were exposed, and Korean Christians developed a “social consciousness” resulting from emphasis on education. 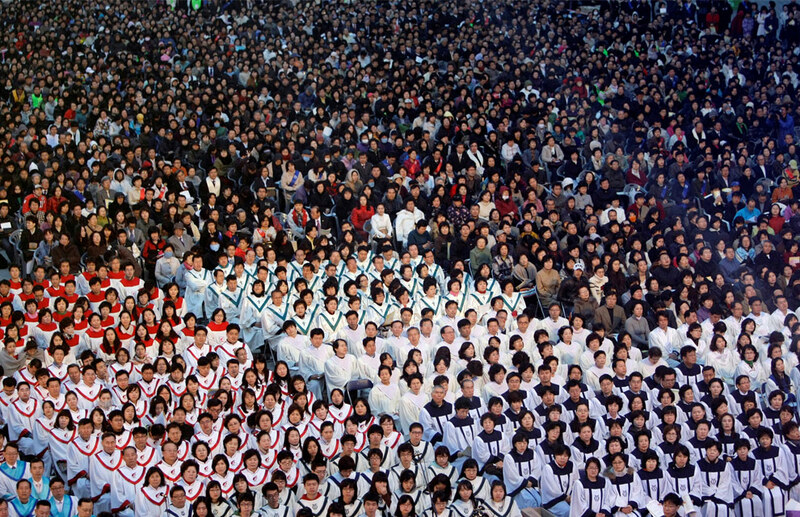 The role of Christian leaders and churches in the nationalist and independence movement was the fourth way Christianity influenced the development of South Korea. Historically, Christians suffered a lot for their active participation in this independence movement. Due to Japanese suppression, early Korean Christians found prayer and revival meetings as ways to resist Japanese cultural imposition. However, when the colonial government made Shinto worship compulsory in schools, resistance became public, which resulted to persecution, imprisonment, and death. Church buildings were even closed down. Church ministries in South Korea have been managed like the corporate world. They invest on impressive buildings and cutting edge technology. Church leaders never criticize capitalism. In fact, the growth of Korean churches is closely associated with the growth of businesses. Minjung theology consists of three threads: Catholicism’s liberation theology, insights of folk history movement of the 1960s, and re-reading of the Bible from economic and political perspectives. Minjung theologians played a significant role in the overthrow of Korea’s military government. They displayed openness to collaborate with other groups advocating the protection of human rights. I find that there is no need for further elaboration on the sixth and the last two influences of Christianity – witnessing through various social services, reunification of North and South Korea, and missionary work around the world. Based on Kim’s paper, it is now clear that Christianity indeed played a significant role in the national development of South Korea. And part of that development, I suggest that the economic boom of the country could never be explained completely apart from the religious influence coming from Christianity. 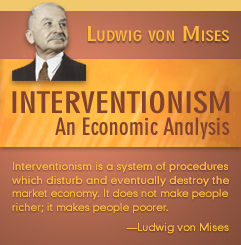 “Why is South Korea so successful?” is the title of the forum thread from Ludwig von Mises Institute. The original poster finds it hard to explain the economic success of South Korea from Austrian perspective. John James replied with five links. The first link is about “Asian Tiger or Asian Kitten?” I clicked the link and found what I have been looking for, an explanation closer to reality than the one reported in The Korea Herald yesterday blaming the free market for the country’s economic woes. There I found the typical Austrian diagnosis that it is actually the government’s intervention of the free market that account for Korea’s present economic situation. Though the article was written prior to 2008 crisis and referring to financial crisis in the late 90’s, I personally think that nothing substantially has changed since then. Such intervention is seen through the connection between the government and the “chaebols” (Korean Big Business conglomerates), through the control over the bank of Korea, the role of subsidies, and the fact that every government is a chaebol in itself. The government intervention shows through increasing regulation and artificial low interest rates resulting to misallocation of capital. The continuous printing of money by the Bank of Korea caused imbalances in economic growth, structural corruption, and eventually to the collapse of national economy. Government subsidies played a crucial role in the reallocation of funds and protection of the chaebols from outside competition. An alarming example of such reallocation is related to the $24 billion worth of tax revenues designated for broadband projects. Such reallocation would have future repercussions that are yet to be seen.